Lelei LeLaulu is a development entrepreneur working at the confluence of climate change, tourism, food security and renewable energy. A coordinator of the Oceania Sustainable Tourism Alliance, Lelei is also Executive Director of the Small Island Developing States Climate Change Alliance of the Earth Council and President of the renewable energy company, Sustainable Solutions in the Dominican Republic. He is Chairman of the Foundation for the Peoples of the South Pacific (FSP) the oldest and largest non-profit development network in the Pacific islands. Until 2008 he was President/CEO of the development and humanitarian agency, Counterpart International, expanding its operations to the Caribbean, Latin America and Africa. Lelei was a member of the small group hand-picked to reform the United Nations in the 1990s, Secretary of the Task Force to Re-orient UN Public Information Activities, and Chairman for a decade of the Committee for the Security and Independence of the International Civil Service working on the release of hostages and detained people. He was a member of the team that organised the series of summits and global conferences in the 1990s known as the "Development Continuum" which defined the global agenda for the succeeding decade through the Millennium Development Goals. In addition to working for the Hudson Institute think tank, Lelei served as the US Bureau Chief for International Communications, the London-based company that is the world's largest publisher of magazines and periodicals in English on Africa and the Middle East. Born in Samoa, Lelei is a board member of several international organisations including Applied Brilliance, the National Cancer Coalition of the US, and the South-Eastern Europe Film Festival. 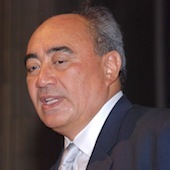 He is a founding director of the World Tourism Forum for Peace and Sustainable Development, and the Caribbean Media Exchange on Sustainable Tourism (CMEx), the George Washington University School of Business, an original member of the Symposium series on Religion, Science and the Environment, and manager of the Royal Polynesian Dancers' world tour. 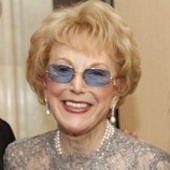 Jan Hartke helped to launch the internationalization of the environmental movement in the early 1980s, drafting and working to pass the National Governors Association's Global Environmental Policy, the first governmental recognition of the full spectrum of transboundary environmental issues. He serves as President of the Earth Council Alliance, first formed in 1992 at the Earth Summit in Rio de Janeiro. True to its original purpose, the Earth Council Alliance seeks to infuse strength and dimension to the sustainable development agenda that was formulated and endorsed by the largest gathering of Heads of State at that point in history. He joined the Clinton Climate Initiative in 2006, specializing in energy efficiency, clean energy, and agroforestry issues as they affect climate change and poverty reduction. Mr. Hartke led delegations for the Clinton Climate Initiative to Tokyo, Istanbul, Berlin, Dhaka, Cairo, Paris, Rome, Bogota, Melbourne, Seoul, London, Mexico City in addition to several major US cities as part of the C40 program to help the largest cities in the world move towards greater levels of energy efficiency and larger commitments to renewable energy. His work with the Clinton Climate Initiative established the Carbon Poverty Reduction Program which deals with forest and land use opportunities to sequester carbon and reduce the threat of climate change, establishing projects in cooperation with the National Governments of Guyana, Cambodia, Indonesia, Kenya, and Tanzania and creating a Measurement, Monitoring, and Reporting team with expertise in remote sensing and satellite technologies to verify climate improvements. Jan Hartke currently serves on President Obama's Enterprise for the America's Board of Directors, which administers the Tropical Forest Conservation Act. He also serves on the Board of Directors of the National Council for Science and Environment, which seeks to improve the scientific basis for environmental decision- making. He has also served as an Advisory Board Member of the US Institute of Peace, worked for over a decade with the Greenbelt Movement led by Nobel Peace Recipient, Dr. Wangari Maathai, and aided President Nelson Mandela by raising funds and developing programs to familiarize young people with the conservation ethic and their natural heritage. 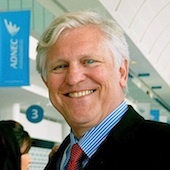 With his experience in working with governmental leaders, civil society organizations, and indigenous peoples in over one hundred countries, Hartke has worked at the nexus between projects in the developing world and bilateral and multilateral funding institutions, development banks, foundations, and the private sector. In his early career, Hartke was elected State Treasurer of New Mexico and served as the National Vice President of the State Treasurers' Association. He was appointed by Governor Apodoca as Chief Public Defender for the State of New Mexico. He was appointed by Governor Anaya as Director, with Cabinet rank, of the Governor's Washington DC Office. He earned his Doctor of Jurisprudence at the University of Virginia Law School and received his degree in international relations at Brown University. 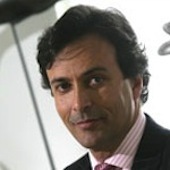 Dr. Marcelo Carvalho de Andrade is a Co-founder, Partner and Principal at Earth Capital Partners LLP. With over 29 years of experience in the sustainability sector, Dr. de Andrade worked as head consultant and manager of several large-scale projects in sustainable development for large corporations, governments and multilateral agencies. Previously, he founded Pro-Natura International. He was also a co-founder of Fundo Terra Capital, the Axial Bank / Axial Par, and Eco Carbon. He is also a founder of SCG. He was a Consultant of Shell International (Royal Dutch Shell PLC) in the development of one of the largest natural gas projects in the world, implemented in the Peruvian Amazon. Dr. de Andrade has been Member of Biotechnology Advisory Panel of E. I. du Pont de Nemours & Co. since November 1, 2004. He serves as an Independent Director of LAEP Investments, Ltd. He serves as a Director of Parmalat Brasil Industria de Alimentos SA. He is a Member of BHP Billiton Ltd. s (BHP-NYSE) Corporate Responsibility Board. Dr. de Andrade was the 1997 recipient of the George and Cynthia Mitchell International Prize for Sustainable Development, which is equivalent to the Nobel Prize for the sustainable development area. In 2005, he was elected to preside over Earth Council Alliance, . Dr. de Andrade is also a Member of CONCEC, Counterpart International, and Earth Restoration Corps. He holds a Ph.D. Dr. de Andrade graduated in medicine from Gama Filho University in Rio de Janeiro. 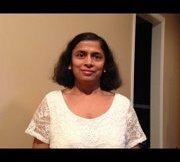 Shilpa Vaidya is the Secretary of Earth Council Alliance since 2011. Additionally, she became the Treasurer in 2013. She has done Masters of Engineering from Mumbai University. Before joining Earth Council, she had worked in DC area IT companies for 15 years. She also successfully manages her own IT consulting company.